MJ Lallo sings to trees and distant planets. She plays drum machines, synthesizers and processes her voice to sound like percussion, space ships, trumpets, birds and words from an unknown language. Tip! 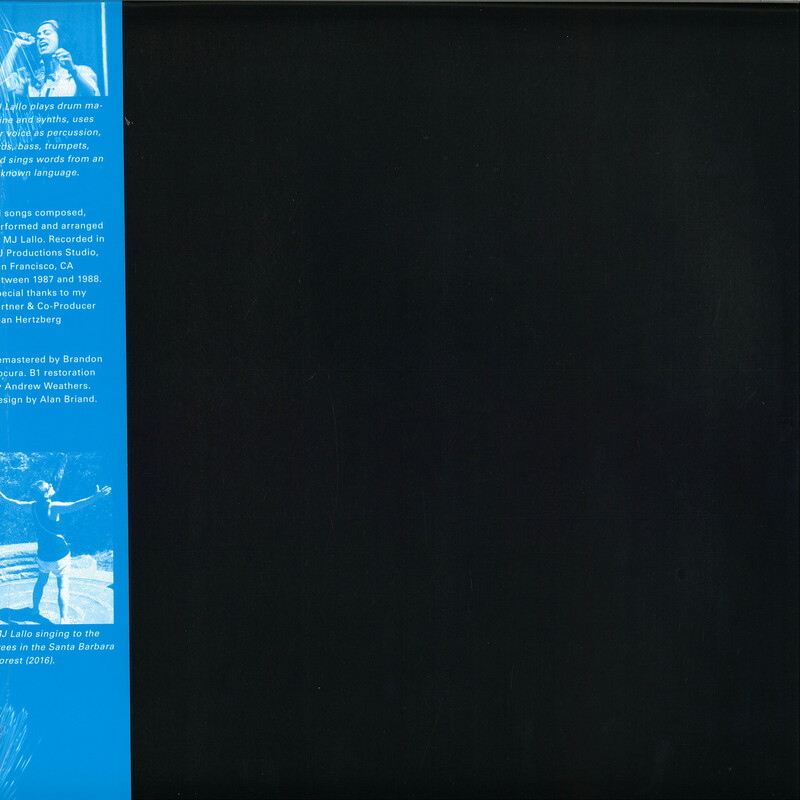 For almost 40 years she worked in post-production music and SFX, founding her own company MJ Productions in 1983. Although she wrote, performed and recorded music for films constantly over the years, she only released one Hi-NRG 12′ under a pseudonym, a small-run cassette in the late 80s and a CD in the early 2000s. Séance Centre is committed to exploring Lallo’s unique and fascinating body of work with this maxi 12′ and a 2LP compilation planned for spring 2018. 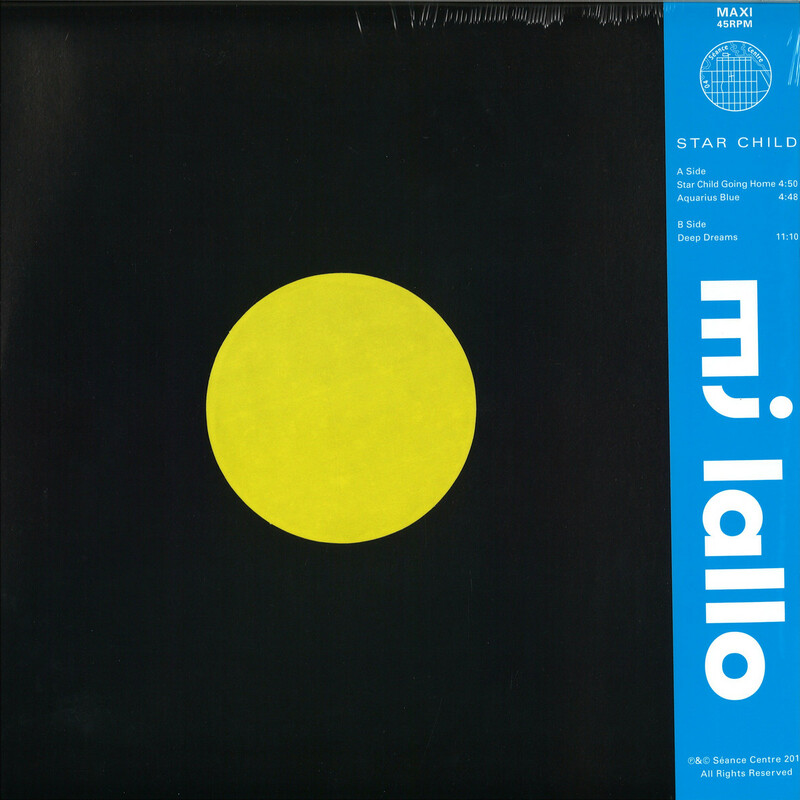 The Star Child 12′ focuses on Lallo’s love of movement in body and mind. Star Child Going Home is a late-night FM boogie transmission, a soaring wordless ode to an interstellar visitor departing. The song conveys a complex synthetic love beyond the realm of language, using voice, Juno 106 and deft LinnDrum programming. Aquarius Blue moves languidly, a sun-soaked Californian cosmic cruiser. Lallo’s voice plays in the waves of synth and motion of drum machine, like sun-rays across the sea at magic hour. Filling the entire B-side of the 12′ is Deep Dreams, an epic entrancing meditation for synth, drums and voice. A journey and transference of the mind from verbal consciousness to pre-lingual dream-state. Remastered and pressed loud at 45rpm.